Why would I need self storage in Hicksville, NY? There are a variety of reasons why you might need self-storage in Hicksville, NY. How much is a storage unit in Hicksville, NY? The cheapest storage unit in Hicksville, NY is $62.00 per month. What size storage units do you have available in Hicksville, NY? In Hicksville, NY we have sizes that range from 5'x5' to 10'x20' to suit your storage needs. How much is it for a 5'x5' storage unit in Hicksville, NY? The cheapest 5'x5' storage unit in Hicksville, NY is $77.00 per month. 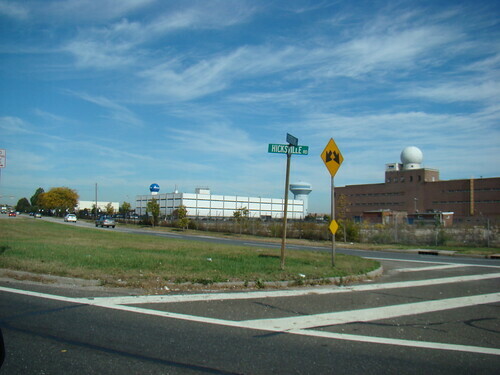 The mid-sized hamlet of Hicksville is on the west end of Long Island, nestled in the Town of Oyster Bay. Just 3 miles north of Levittown and 23 miles east of New York City, it's a convenient home base for many big-city commuters. The community of Hicksville got its start when Valentine Hicks (son-in-law of famous Quaker abolitionist Elias Hicks) purchased land in the area in 1834. He elected to establish a Long Island Rail Road station stop in the village, which fueled the growth and development of the community. The LIRR station became a major produce depot, and the Heinz Co. used it primarily to transport cucumbers. When cucumber crops were decimated by blight, Hicksville farmers established thriving potato crops instead. Like many small communities in the area, the town grew into a busy suburb as a result the post-World War II real estate boom. Historians are somewhat divided on the origin of Hicksville's name. Some say the hamlet was named after Elias Hicks, while others insist the hamlet was named for Valentine Hicks. The town has plenty to offer in terms of amenities, recreation and entertainment. Everyday amenities such as grocery stores, fitness centers and coffee shops are easy to find throughout the village. As a Hicksville local, you'll also enjoy easy access to numerous green spaces including Cantiague Park, Eisenhower Park and Hempstead Lake State Park. During the winter months, you can ski at Blue Mountain. The hamlet has enjoyed modest growth as more people discover its beautiful outdoor spaces, strong economy and proximity to New York City. The Hicksville job market has also drawn people to the area. A large percentage of people in the community work in office and administrative positions; sales and management jobs are also common. Hicksville's large Sears store and its Broadway Mall, which features an enormous IKEA store, also provide numerous retail jobs. Hicksville Union Free School District oversees the elementary, middle and high schools in the community. There are also a number of private schools in Hicksville and its neighboring communities, including many parochial campuses. Utilities: Hicksville's primary utilities providers include Public Service Electric & Gas and the Hicksville Water District. Garbage and Recycling: The Town of Oyster Bay facilitates collection of trash and recyclables. Transportation: The Nassau Inter-County Express provides convenient public bus transportation in and around Hicksville. The community is also a major stop on the Long Island Rail Road. Hicksville's Cape Cod, ranch and split-level homes give the local streets great character. Most properties date back to the hamlet's boom time of the 1950s, so it's easy to find a home with a touch of historic charm. Prices are well above the national average and more expensive than in many other small Long Island communities. 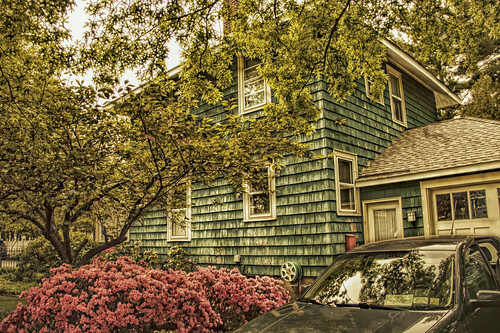 The growing demand for homes in Hicksville continues to drive housing prices even higher. Our lowest priced units in Hicksville, NY average $69.50 per month. 90 people have reserved units in Hicksville, NY in the past 30 days. There are 2 locations within Hicksville, NY's city limits. There are 2 locations in Hicksville, NY that offer AC and Heating features.